The Godin xtSA Flame Electric Guitar's sound power begins with three distinct voices: electric guitar, acoustic guitar and synth controller. 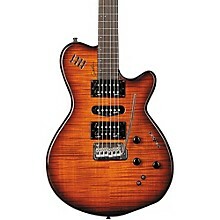 The xtSA delivers big time electric sounds via the Godin humbucker-single-humbucker pickup configuration. Thanks to a special 5-way switch setup, extra meaty humbucker tones co-exist with glassy split-coil sounds in the second and fourth positions. Turn down the electric output and raise the volume on the RMC transducer saddles and the xtSA sounds like an authentic acoustic guitar. The acoustic voice of the xtSA is enhanced by an onboard preamp with a three-way graphic EQ. The two outputs are set up so that the electric and acoustic voices can be blended in the guitar using a single patch cord or at the amp/mixer using both outputs. The icing on the xtSA cake comes in the form of its synth tracking. As with all Godin synth-ready instruments, a built-in 13-pin connector provides direct access to all Roland GR-Series synths as well as most other 13-pin devices. All of this sound power would be a lot less interesting if the guitar didn't feel great. 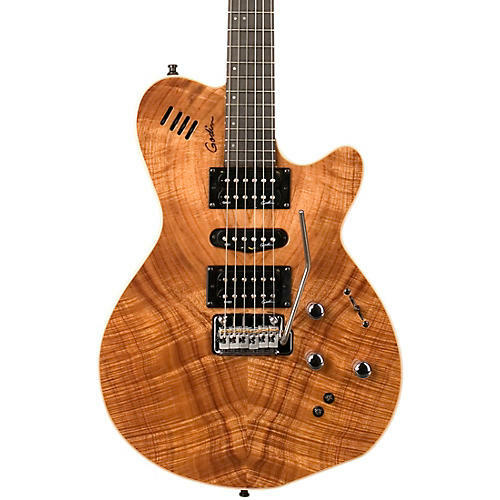 Thanks to the same 25" scale mahogany neck used on the Godin flagship LGX-SA guitar, this is a very comfortable guitar to play. 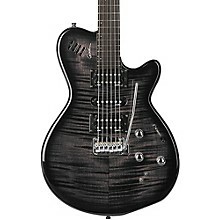 The ebony fingerboard is shaped with Godin's ergocut technique and equipped with medium jumbo frets. The body is made from a silverleaf maple center with poplar wings and decorated with a figured maple veneer on top.